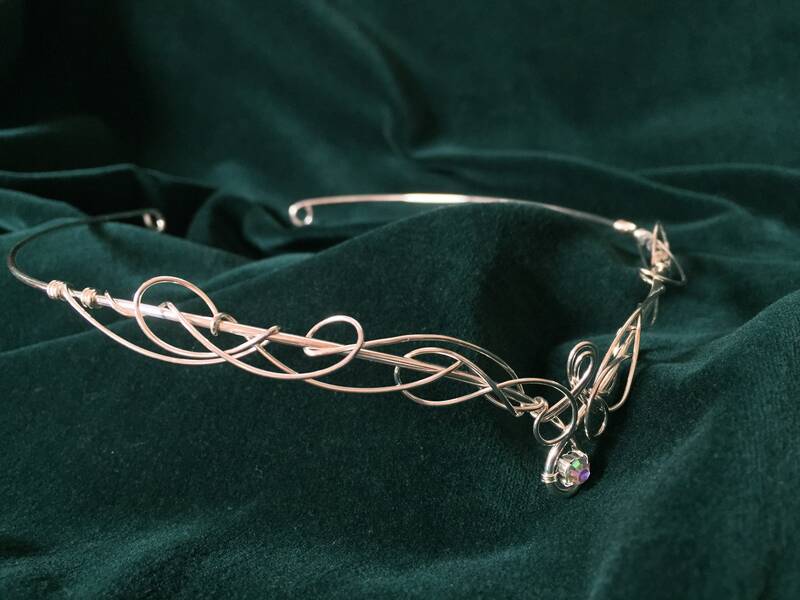 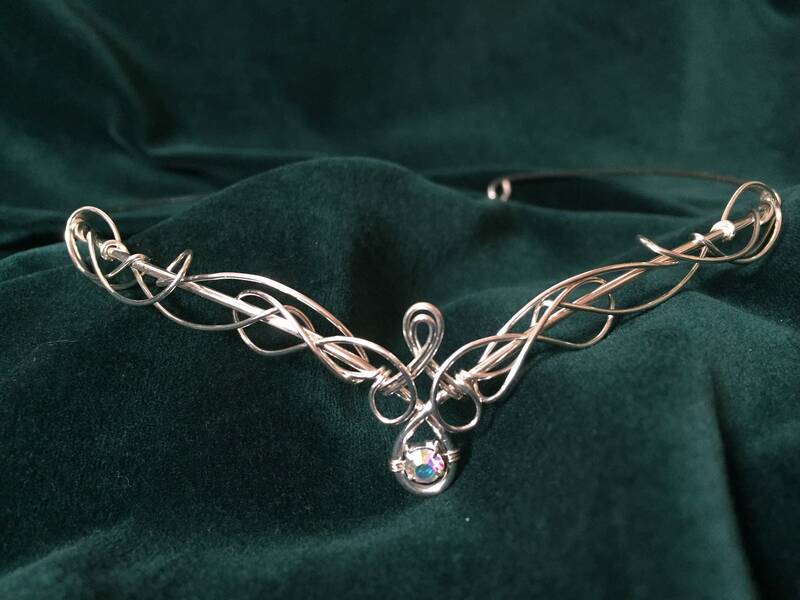 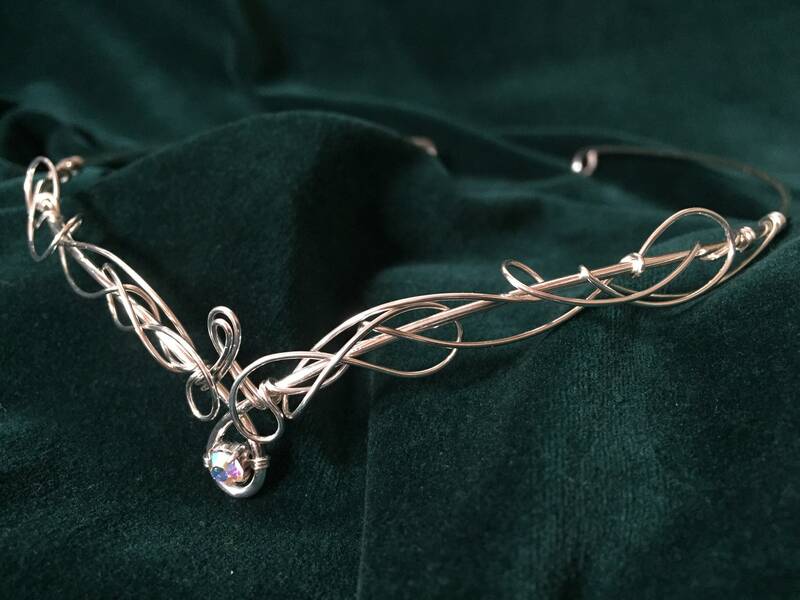 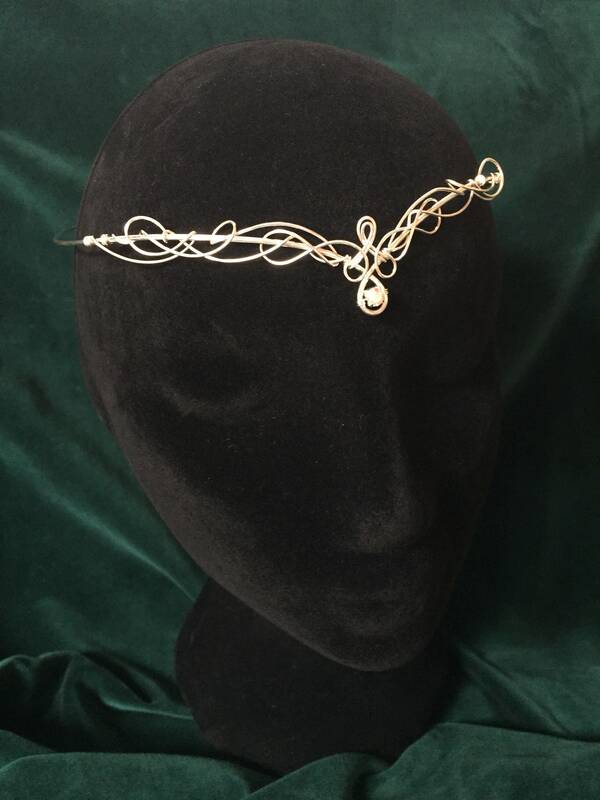 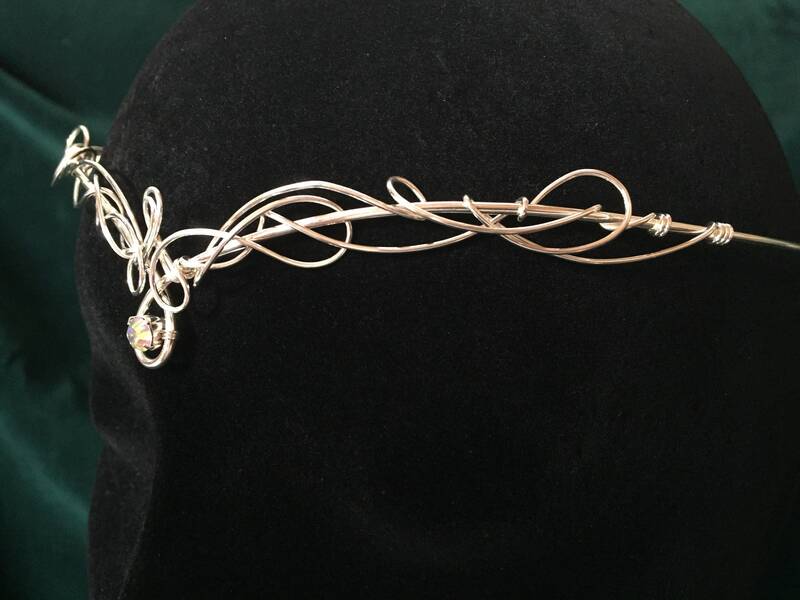 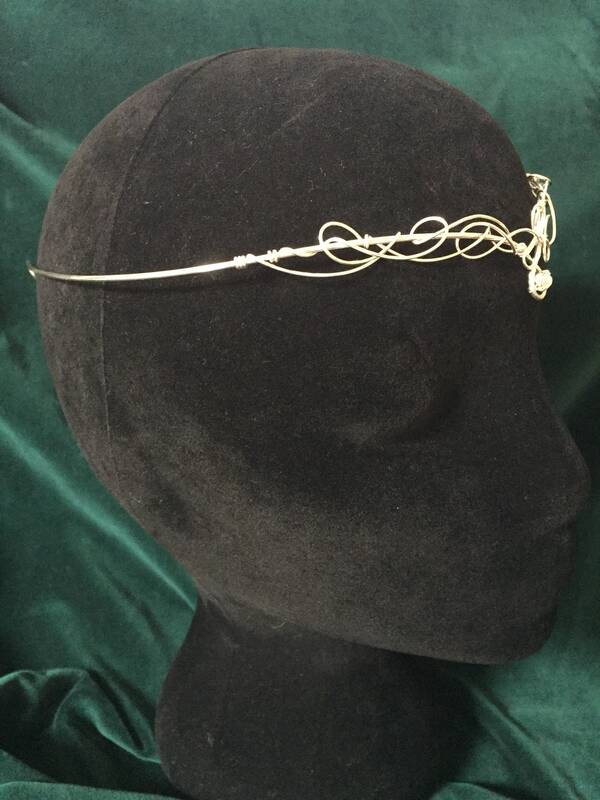 Beautiful one of a kind handmade silver plated circlet. The design is crafted from just two lengths of wire emulating traditional mystical Elven wire work with a single beautiful aurora borealis crystal in the center. 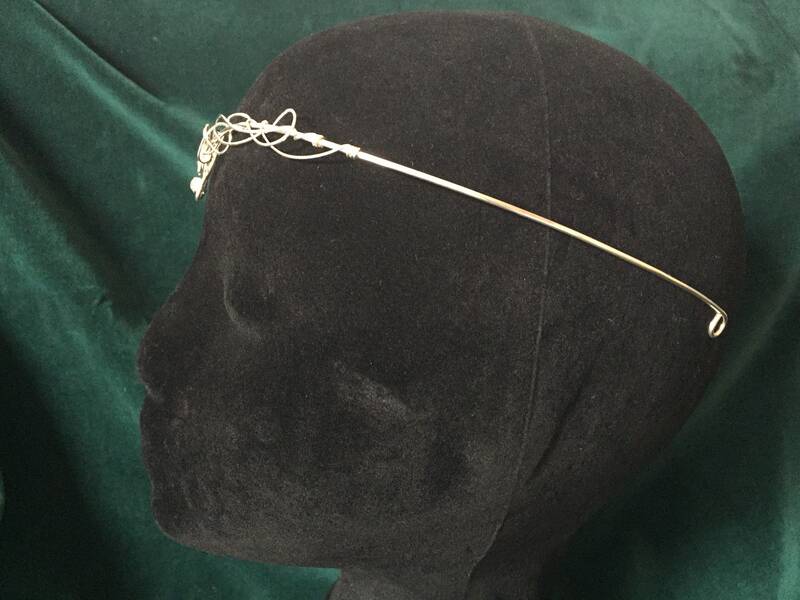 The design element of the headdress measures 16cms (6 and a quarter inches) across and 2.5cms (1 inch) from top to bottom at the centre. The full circumference of the circlet is 40cms (16 inches). 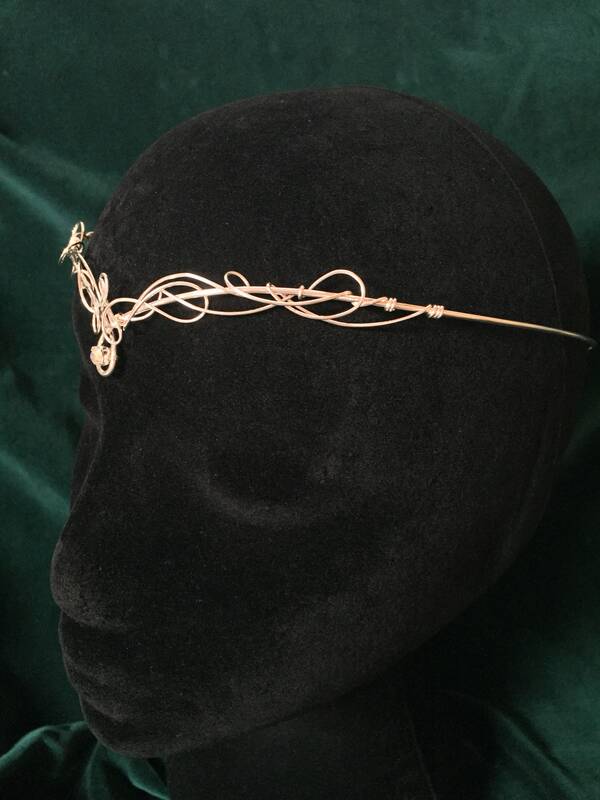 very nice, good quality circlet.